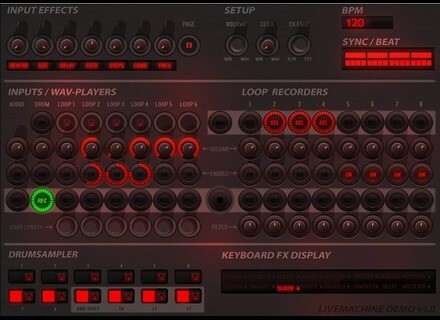 Livemachine, Virtual Loop Tool/Slicer Sampler from Prodyon. Prodyon has announced Livemachine, which is described as a unique "realtime looping sequencer" that can be used to create songs, remixes and loops on the fly. With Livemachine you can record audio, loops and drum sounds in realtime then mangle them using the huge library of onboard effects, like reverb, slicer, grainer, pitcher and much more, according to Prodyon. 8 stereo recording loopers + low- and high-pass combi-filters. Variable recording lengths (up to 20 seconds per channel). Six stereo WAV playback channels (user-loadable, disk-streaming). Synced Drum Sampler with 12 Parts and "One-Bar"-looping (+overdub). Resampling of every channel in real time. Built-in voice controlled synthesizer with 3 unique modes. Built-in 16-bands stereo vocoder (WAV players/loopers act as carrier). Two stereo audio outputs (1 Main / 1 Cue with click sound). VU/Peak-meters for every input and output channel + MIDI CC mapping. Real time click/pop-free effects operation. MIDI learn for almost any on-screen control. Custom coded C++ SE modules. MIDI keyboard with at least 49 keys strongly recommended. 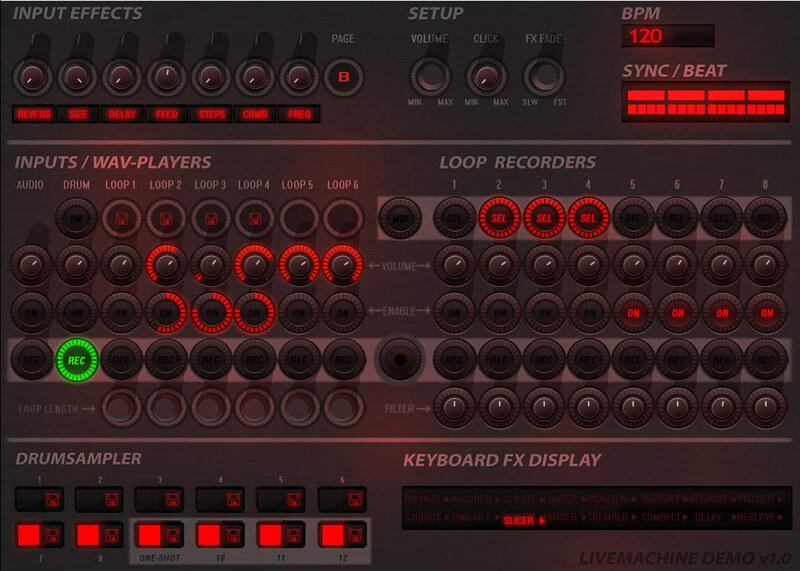 Livemachine is currently in the final steps of beta-testing and will be released on December 6th, 2009, for Windows in VST effect and stand-alone versions. A Demo version will be released soon. The final price will be $99 for just the plug-in and $129 for the set with a 2GB sample-library. Until its release Livemachine can be pre-ordered for $65. de la Mancha QB3 de la Mancha has announced the release of QB3, a new vintage-style, 3-band EQ plug-in. Soundprovocation Ethnic Panpipes "Ethnic Panpies" is a sampler instrument, made from a set of Lithuanian national panpipes. Wildfunk Electro House Sounds 3 "Electro House Sounds 3" features 100 selected presets for Electro House productions.